We are delighted to announce that a new kids class is starting up in East Preston on Tuesday 1st November. The classes will be a great way for students to stay fit and healthy, as well as learn valuable self-defence skills. 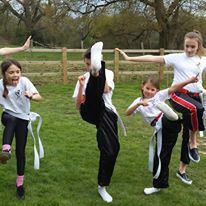 Kung Fu helps with concentration and self-discipline and is fantastic for burning off energy after a hard day at school! Previous Previous post: Click for our Latest Newsletter..